Jordan Eberle is a pending unrestricted free agent. He can walk away from the organization on July 1st 2019. The Islanders will have to make some tough decisions before then. Since October my opinion on this subject has definitely evolved. I thought for sure Jordan Eberle would be ex-Isled by the trade deadline. Here’s why I think both parties would be better off if he stayed. Lou [Cipher] Lamoriello knows hockey. He also knows hockey players. So if Jordan isn’t the “Devilish” type, then you can disregard the rest of this post. I think he is, and I also think he fits into the Islanders’ plans for the future. Lou and Barry have had a full season to manage expectations from Jordan. They have not taken away responsibilities from the veteran right wing. Even though he has struggled at times he is now on the first true TOP LINE the Islanders have had in quite a while. Lee, Tavares and Bailey were pretty good, but they lacked somebody who could move the puck fluently from zone to zone. That has been the missing ingredient since the weeks of Vanek, Tavares and Okposo. Now they have Mat Barzal to carry the mail. The combination of Barzal and Eberle worked very well last year with Anthony Beauvillier. That line had excellent speed and spent the majority of their time in the offensive zone. It lacked a true net front presence. This year Lee, Nelson and Eberle were deployed as the top line early in the year. The three vets could be trusted executing Barry Trotz’ simple neutral zone defense and they broke out well from the defensive zone. Nelson doesn’t have the speed or the skills that Barzal does, but he knows where to be and how to get there. They worked well as a five man unit, but they didn’t produce offensively like a first line is expected. When Lou decided to tinker I assumed he would move Barzal to Nelson’s wing. That would put a puck mover, with retriever and sniper and hopefully there would be chemistry and more goals. But the answer was simpler than that. Just put Barzal between the two vets and see if you could spark their output. Winner winner. In just over 160 minutes together the Lee, Barzal and Eberle line has generated a CF% of over 56, a GF60 of 3.36 and a SC60 of 38.52. The Lee, Nelson Eberle line had been together for 500 minutes. Their respective numbers were CF%(48.7), GF60(2.01) and SC60(28.17). A first line has been born. Nelson has since been joined by Michael Dal Colle and Josh Bailey and has resumed similar offensive output, with similar defensive acumen. A little more offence, no loss in defense. In October there are two positions where the Islanders were organizationally weak. center and right shot forward. Their center depth has improved with the signing of Val Filppula, the development of Otto Koivula, and the evolution of Tanner Fritz. It was fully expected in October that Eberle would walk and his shoes would, to some extent, be filled by Josh Ho-Sang, or their 11th overall 2019 draft pick Oliver Wahlstrom. Both have proven that their accelerated development was over-exaggerated. There is nobody currently in the system that could step into Jordan’s RW1 role. Not even Josh Bailey. Josh is a very good hockey player, he just doesn’t score goals. There is a chance to get 80+ goals out of that first line. 80 goals can go a long way when you’re battling for the lowest goals against in the league. The Islanders currently have four very good prospects. They have all either hit speed bumps or will need at least a year or two more of development before they could step into a key role on this team. Josh Ho-Sang had a few good games in the NHL this year. He even showed he could handle a more defensive role by putting up great possession numbers with less than stellar linemates. But then Ho-Sang did Ho-Sang things and since his demotion his production hasn’t been stellar either. Nobody could justify replacing Eberle with Ho-Sang at this juncture. He might make a good puck mover for Nelson some day. But not today. Oliver Wahlstrom seems to have a good amount of skill. His resume wreaks of immaturity. In games I’ve watched he shows flashes of brilliance, but a lot of invisibility. Hopefully Brent Thompson can get the inner Anders Lee/John Tonelli out of him, but right now he’s a puppy with big paws. Kieffer Bellows is left handed. I don’t think that makes a whole lot of difference, especially when paired with a right handed center like Barzal or Fritz but I’m not a big fan of the three left thumb principle. Keiffer, like Wahlstrom left Boston University after his freshman year. Unlike Ollie, he decided to play junior hockey in the WHL with the Portland Winterhawks. He excelled were he was in the top tier of a restricted age group. Something he has failed to graduate from, yet. Keiffer’s rookie year in pro hockey was a bit of a disappointment. His 11 goals and six assists were nothing to be ashamed of, but his overall play did not scream “NHL Prospect”. That is okay as well. The team was veteran heavy and a few other prospects with more experience emerged this year. His time will come. But it won’t be early next year. One thing I’ve learned as a NY Islander fan is to not expect too much in July. Over the last 20 years the team’s best unrestricted free agent signings have all been re-signs. With the exception of Mark Streit and a few past their prime defensemen the Islanders really haven’t gotten much help from the UFA market. So when you have somebody that works you gotta try to keep him. If Jordan Eberle is willing to put up with another 2+ years on the LIRR (or however he gets from Nassau County to Brooklyn), then there should be an offer for at least twice as long on the table. (Eberle Pro) A five year $35-40M deal would keep him from having to move. Not only his home, but from a very comfortable situation with Lee and Barzal. Hopefully both of them will be on Long Island for the next five years and beyond. We’re gonna have to create a cool name for the line. I am leaning towards the Earth(Lee) Wind(Barzal) and Fire(Eberle) line. It’s too bad that September isn’t really an important hockey month. (Eberle Con) There will probably be a 7 year $55M+ offer out there. There are plenty of teams with cap space that will be willing to overpay for Eberle’s 20G consistency. The Islanders can’t afford to go that high or that long. 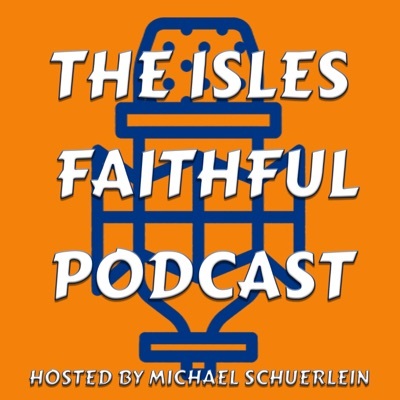 (Isles Con) Adding $7M+ to the annual budget will make it tough to keep some of their current RFA players as they evolve into $4-6M players over the next 2-4 years. I don’t have a lot of confidence in this happening because of the three (Anders Lee, Brock Nelson and Robin Lehner) other UFAs the Islanders HAVE TO sign. But if Lou can get them all to buy into the future of this club under Barry Trotz it could happen.